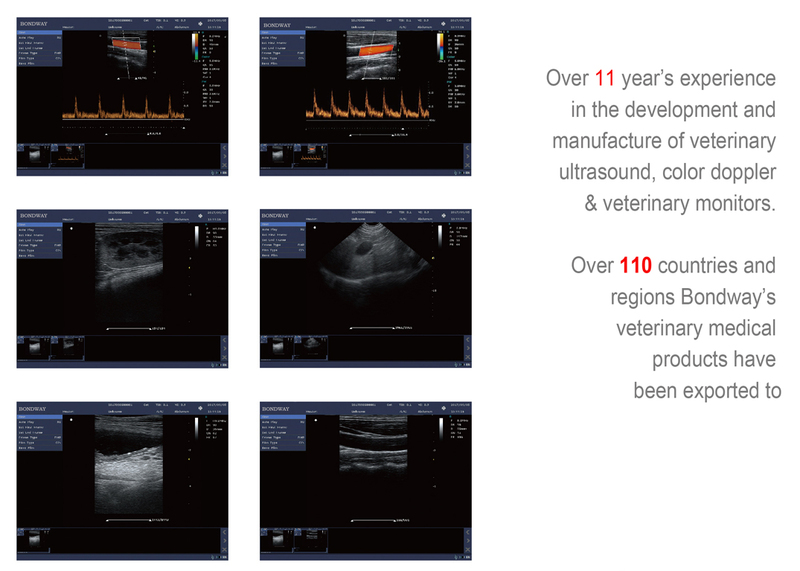 ES230V is a full digital Veterinary Color Doppler system, coming with 15-inch high-resolution LCD display & 128-element multi-frequency probes. This easy-to-use color Doppler offers excellent image quality and reliable performance, provides abundant measuring software and gives confidence when making a diagnosis. Excellent for use in obstetrics, gynecology, Abdomen,urology, cardiology, small parts, etc. Professional veterinary software packages installed including feline, canine, swine, sheep,etc.